Samsung's upcoming Galaxy Note 4 will be released in two separate variants, one with a curved OLED screen, and the other with a conventional flat display. This is according to the latest report from the company's native South Korea. 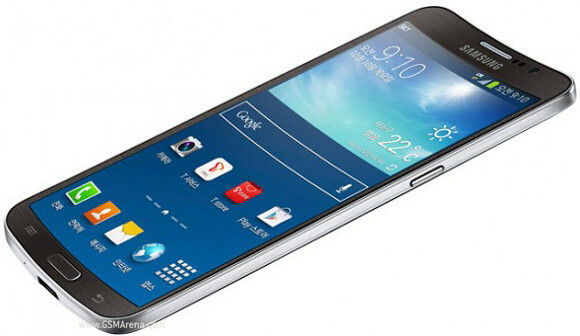 The curved panel may be similar to the one used in the Galaxy Round (pictured below), or it could actually be a three-sided YOUM display, similar to the prototypes Samsung has previously demonstrated. The sources for the information are said to be a couple of executives at local Samsung partners. These people think the world's biggest smartphone maker will want to impress the world at IFA in Berlin this September. The next top of the line Samsung phablet will only be using a curved screen in "niche markets", while the version with a good-old flat display will take care of the mass-market. This is likely due to issues with making as many of those flashy bent panels as Samsung would need were it to exclusively use the new tech in the Note 4. Along with the Galaxy S devices, the Notes are the best selling items in the company's portfolio, so ramping up flexible OLED production to the necessary levels probably isn't feasible - at least not this year. Samsung will apparently lease 6000 square meters of the IFA exhibition venue, in which it will showcase many new products. Aside from the Galaxy Note 4 in its two iterations, we're also going to see Samsung's competitor for Google Glass surface. Even more wearables, home appliances, as well as curved OLED TVs will be presented too. Samsung hasn't officially confirmed any of this, as you could probably guess. Is this guy on crack??? I think so. The Note 4 sounds Amazing -- unfortunate that the FAA limits HOW amazing these phones could be .. but for the time, the Note 4 with the 8 core processor will be king in the US.